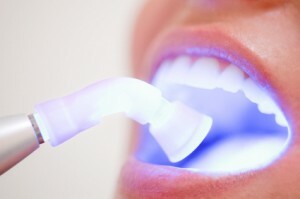 For most people, nothing can be worse than having an unattractive smile, which is often caused by discoloured teeth. Tooth discolouration may occur because of stains on the surface of your teeth or because of certain tooth material changes. This kind of discoloration results from the staining of the tooth’s outer layer. Foods like wine, cola or coffee mostly cause the teeth to stain. 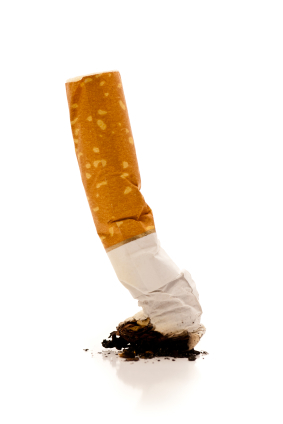 Smoking is yet another factor that contributes to the development of extrinsic stains. 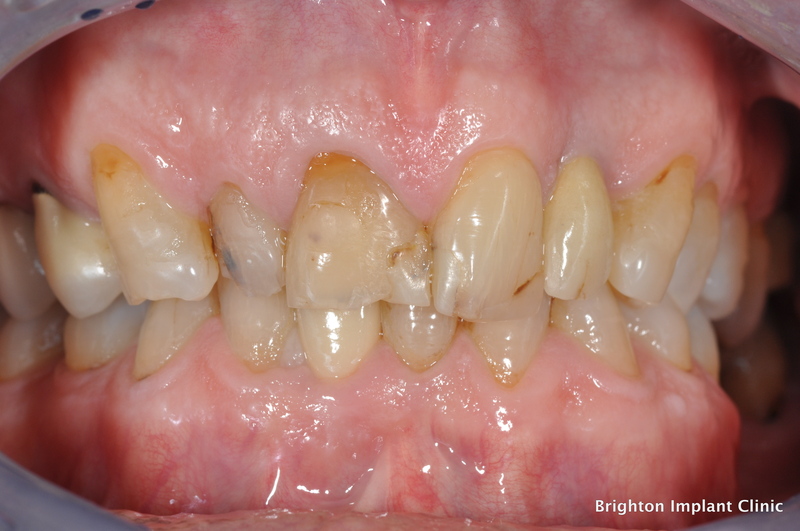 This form of tooth discolouration is treatable with dental whitening treatment such as Zoom professional tooth whitening. Simple easy to use 'home whitening treatments' made with customised trays are also an effective way of treating extrinsic tooth discolouration. It is important to note that if one does not stop smoking or drinking black coffee/tea the discolouration will almost certainly return. If a person’s teeth experience excessive exposure to fluoride during the early years of childhood. If a mother uses tetracycline antibiotics throughout the second half of pregnancy. If tetracycline antibiotics are used at the age of 8 years or younger. 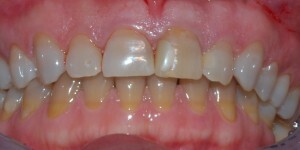 If the tooth is affected by trauma at a very young age. This could be because of a fall that may impact the development of permanent tooth. If the permanent tooth is affected by trauma, causing tooth discoloration from internal bleeding. If the person has dentinogenesis imperfecta. This is a dental condition which gives a grayish or purplish look to the teeth. This type of discoloration stems from several extrinsic and intrinsic factors. As we age, dentin starts to become yellow. The enamel covering the teeth keeps getting thinner as we age that causes the dentin to show through. According to dentists at Brighton Implant Clinic, certain foods and frequent smoking can also contribute to stains in the long term.